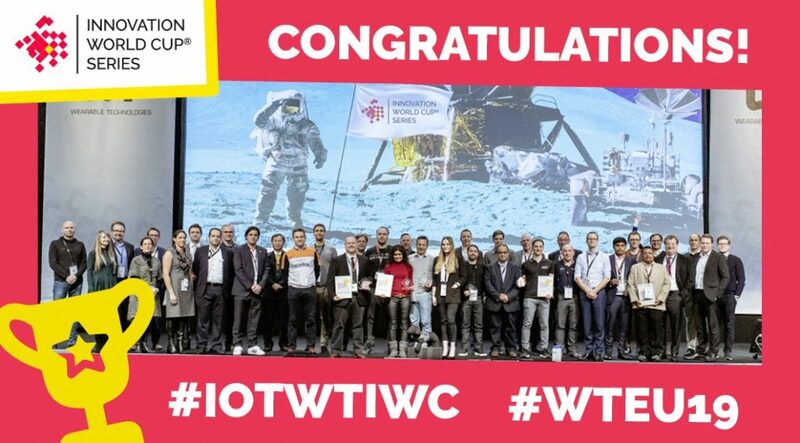 28 international wearable tech and IoT innovators were part of the thrilling finals of the 10th IOT / WT Innovation World Cup® on February 5th at the 33rd WT | Wearable Technologies Conference 2019 in Munich. Selected out of more than 500 submissions from over 45 countries by the international expert jury, they are the top techpreneurs to watch out for in 2019. With over 15 years of successful competitions, the Innovation World Cup® Series is the most established tech open innovation platform worldwide supported by the partners STMicroelectronics, Gore, EBV Elektronik, Würth Elektronik, Gemalto, AiQ Smart Clothing, VARTA Microbattery, Microtronics and Cicor. And here are the lucky winners of the categories Industry, Healthcare, Sport & Fitness, Gaming & Lifestyle. Additionally, the winners of the Gore Innovation Center Prize, the EBV IOT HERO, the Gemalto Trusted Connectivity Award and AiQ Smart Clothing Special Prize were announced. VPS 19 is the first wearable technology combining eye tracking with a XR-display element. Measuring and interpreting eye activity in real time and in real life, the glasses enable a new human-centered and bi-directional interaction between man & technology. Using the disruptive “Digital Iris” technology, VPS 19 is able to read intentions and actions from the eyes in real-time and to provide the right display information at the right time. In addition, the user can interact with the elements displayed simply using eye gestures instead of hands or voice. Elvie Pump is the world’s first silent wearable breast pump. A complete departure from existing pump technology. The truly hands-free pump gives women the flexibility to go about their daily routine while pumping, without worrying about cords, wardrobe changes or the undignified sound of traditional electric breast pump. GuideWatches is the first multi-use connected navigation system putting humans back at the center of the experience. No more stopping to find your way: wear onTrack’s two GuideWatches – one on each wrist – their vibrations will guide you. onTracks makes it easier to get guidance on new routes, when you are running, biking or hiking. Star MATE is a personal safety system that consists of a wearable device and a mobile app discrete, easy to use and accessible. With Start MATE, users in danger can discreetly call for help with their real time location flashed to family and friends and local police, just by a single finger tap. Star MATE also crowdsources danger spots and creates a heat map to identify these spots worldwide. ARION provides a solution, bringing the coaching experience to the world of wearables through innovative ultra-thin smart insoles and an advanced AI coaching engine that make cutting edge exercise sciences accessible to all runners. ARION guides users to improve their running technique sustainably, helping to reduce the risk of injury and improve performance so they can stay active, and run longer, safer, and further. Cido offers flexible access management for apartment buildings without physical keys or transponders. Instead, barcodes are used, which are either already present (e.g. on parcels for shipment tracking) or can be generated on demand to integrate them into documents or ID cards. Deliverers scan the barcode of a parcel at the building’s main entry and Cido turns the shipment itself into a temporary key. Re.flex enables innovation in healthcare, targeting patients, healthcare providers and insurers. The solution is used for physiotherapy covering the most common injuries & surgeries of the knee and hip. Re.flex reduces uncertainty and increases patient motivation to train, thus improving quality and quantity of training and monitoring. The Xenxo S-Ring is the wearable offering you not only a SOS-call function, but a full range of functionalities. It takes calls directly and talk privately, stores your important files, changes music right off the finger, makes payments on the go, keeps track of the fitness goals, make quick calls to favourite contacts, reminds if you forget your phone, call for help without alerting the stranger (SOS), access doors with Bluetooth key, and more. The wearable tech and IoT innovators 2019 will now be part of the glorious Innovation World Cup® Hall of Fame and will be supported throughout the year by the Innovation World Cup® and industry partners to make their innovation visible to the world. 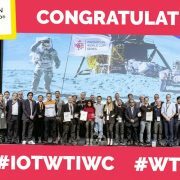 The 10th IOT/WT Innovation World Cup® is part of Innovation World Cup® Series, the largest open innovation platform worldwide that supports breakthrough innovations to become reality. The IOT/WT Innovation World Cup® was initiated by Navispace AG in 2003. Current partners include STMicroelectronics, Gore, EBV Elektronik, Gemalto, Würth Elektronik, Gemalto, AiQ Smart Clothing, VARTA Microbattery, Microtronics and Cicor Group. A panel of industry experts selects the most promising solutions based on criteria such as level of innovation, marketability, and usability. Participation is free of charge. Further partners include WT | Wearable Technologies, StartupCon, BIM World, Kickstarter, UnternehmerTUM, Medical Valley, Gate Garching, ACCIO, CSEM, G2 Startup, IFJ, ISPO Munich, Business OULU, Wolves Summit, Technoloport, Munich Startup, Censis, IoThings, SwissPropTech, French Tech Cote d’Azur, Team Cote d’Azur, High-Tech Gründerfonds, TechTour, Engerati, MIT Entreprise Forum Poland, Alp ICT, IOT Forum CE, Taitra, Things, Government of Canada, Innovative City, Polar Bear Pitching, Inn.Kubator, Deutsche Startups, Eyif, IoT Catalan Alliance and many more.